Take a ring that you already have and measure the rings inner diameter by measuring straight across the ring with a ruler. 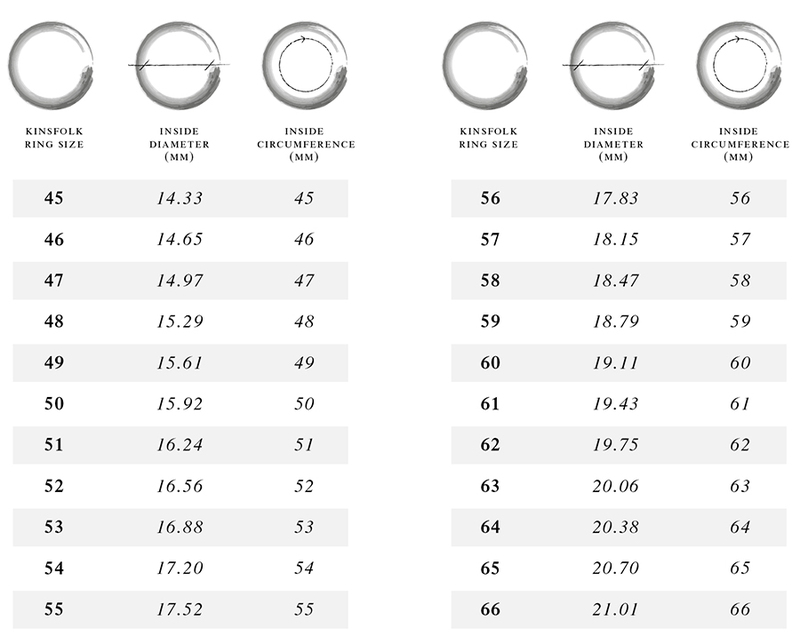 Read the inside dimensions in millimeters. If you do not have a ring you can measure the circumference of your finger. Put a string or paper around your finger and measure the circumference in millimeters. The number of millimeters corresponds to your size. Remember that the two hands differ slightly in size; a ring worn on a finger of the left hand will not be a perfect fit for the same finger on the right hand. Be careful when measuring. Measure finger size 3 to 4 times to eliminate an erroneous reading. Remember that one millimeter corresponds to a full size. If you are hesitating between two sizes, choose the larger size. Please note that the style of the ring will also affect the choice of size: a bulky ring is made to be worn more loosely than a smaller model.